Interactive Print | Pengad Indy Inc.
With today's technology print material can be much more than words on a page. By including interactive elements to a design there is an increased opportunity for consumer interaction, lengthening the amount of time the individual is exposed to your message. Although it can be tempting to start implementing interactive elements right away it is important to make sure your interactivity is relevant to the message content. QR Codes look a little like a crossword puzzle. The purpose of these little squares is to direct smart devices to web-based content. By using the camera, the device decode's the QR Code and directs the user to the associated URL. There are some QR Code best practices that should be observed. 1. Make sure the code is large enough and in an easily readable area. Don't let it get stuck in the binding of a magazine or risk it being trimmed off the edge of a page. 2. Make sure there is cell reception if your code is part of an out-of-home installation. Don't put an ad up on a subway car with a QR Code if there is no cell reception in the subway. 3. Brand your code. You can put your logo or a picture of your product in the center of the code. Depending on how the code is constructed you can cover as much as 30% of the data. Make sure to extensively test your code with multiple code readers to ensure it is easily scanable. 4. Track your code scans. It is easy to build in a tracking system to your code so you can tell not only how many people have scanned it but where they were geographically. 5. Link to good quality, mobile content. There are a lot of businesses that link to the corporate website which may not be optimized for mobile display. The only thing this achieves is frustrating the consumer. Make sure the content is worth the consumers effort and easy to navigate on a mobile device. 6. Test, test, test. Make sure the code works and points to the right content. Test it across different platforms and different readers. Nothing is more embarrassing than putting out thousands of codes only to realize they don't work, or worse, link to the wrong content. A stigma of technological incompetence is very dangerous in today's marketing environment. QR Codes are easy to generate and implement but what is the best content to associate with the QR Code? QR Code users are looking for a unique experience worthy of the technology used to access it. A common mistake is to direct the user directly to the corporate website. This is the opposite of a unique experience. Put a little effort and creativity into developing your content tied with the code. Here are some creative ideas for QR Code uses. This is the most basic use for a QR Code we are comfortable recommending. Offer an exclusive coupon or offer to users who scan the QR Code. Make sure the coupon is of a value worth their effort. 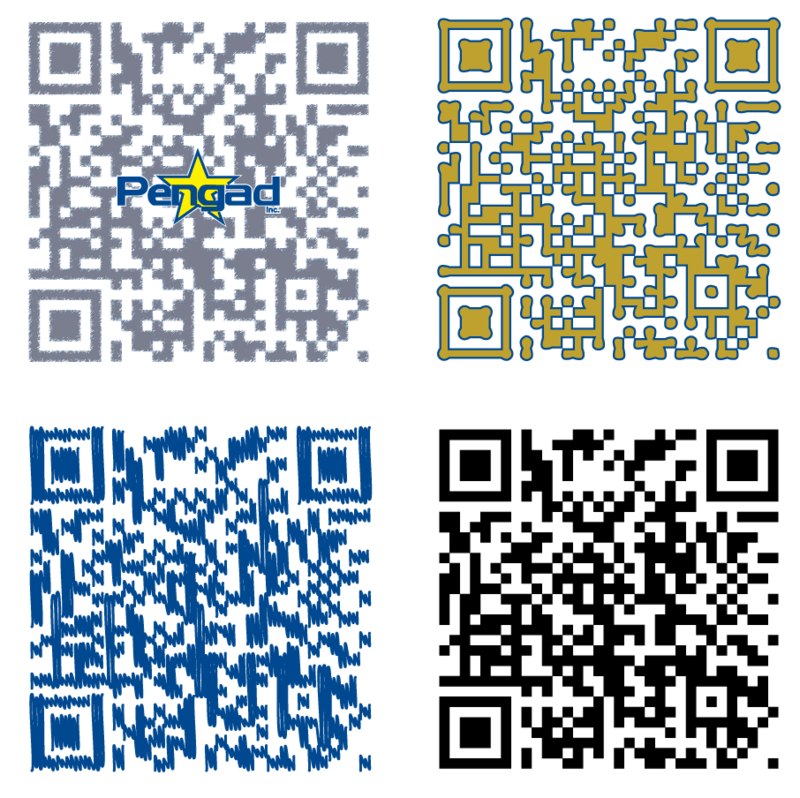 There are endless opportunities to integrate multimedia with your print collateral through QR Codes. For example Radisson Edwardian hotels has printed QR Codes on their restaurant menus. Diners can scan the code and watch a video of the associated dish being prepared. This is a great way to enhance the dining experience. If your company has an existing rewards program, considering integrating QR Codes as a way for consumers to gain rewards points. The code could link to content that, when viewed, adds points to their rewards profile. This is a great way to integrate QR Codes with existing programs and even existing apps. If you are going to implement a program like this, include a QR Code reader in your company's rewards app. If you have an app, consider allowing users to build a wish list and add items via QR Codes on tags, advertisements, or catalogs. Add a QR Code to product tags so consumers can view additional specifications about the product online or e-mail the store's landing page for the item to a friend. If you have a physical retail location, consider adding QR Codes to your window displays. If a consumer sees a product in your window display after store hours, they can use the code to get more information, customers can be prompted to shop while your closed! Develop a game relevant to your product offering. Combine this tactic with an incentive, maybe certain scores can gain the consumer specific discounts? The opportunities are endless. Free is a powerful concept in marketing however it is important to make sure the content is of value to the consumer. Consider offering a free music download or eBook if you can tie it into your brand image. If you offer a mobile service, consider offering a free trial of your product. The bottom line is, if the experience is not valuable to the consumer, they will resent the time spent on it. Remember to consider your consumers carefully when designing a QR Code campaign. Sometimes a little simple, low-tech fun can brighten up your day considerably. When was the last time you read a pop-up book? There is something exciting and nostalgic about pop-ups, and they can be simple to create. If you send holiday or thank you cards to your customers a pop-up can make them stand out. Your customers will remember your greeting as a fun and exciting one, they may even show their friends. Pop-up cards and books are based on the concept of origamic architecture. Understanding the basics of origamic architecture make it easy to design eye catching, pop-ups. For the purposes of this article they will be demonstrated in a card format but don't let that limit your creativity. If it can fold, it can pop! For more information on creating your own pop-ups, check out the Origamic Architecture Basics article for information and some basic template examples. Your a great designer and as such your piece is so interesting that passersby can't help but pick it up or pull it out of their stack of mail. When they make contact the second phase of the consumer experience begins, a phase that is often overlooked: touch. The tactile experience is all too often an afterthought when designing, if it's considered at all. Using varnishes and coatings can enhance the consumer experience considerably. Remember, if you are gluing your piece, the area where the glue will be applied needs to be left coating-free. Some common coatings and their effects are listed below. A gloss coating is pretty self explanatory, but have you experimented with spot gloss? Use it to highlight products or give a realistic, glassy feel to individual components of your piece. Lay down a layer of spot gloss over your logo to make it stand out. Soft Touch™ is an aqueous coating that imparts a leathery, almost rubbery finish and a rich matte appearance to your piece. As a water based coating, it has very low VOC (Volatile Organic Compounds) content and the paper is still easily recycled. There is no mistaking a well applied Soft Touch™ coating. Laminate's are available in two forms: film and liquid. They can have a gloss or matte finish and are the best alternative if you need to protect your piece from moisture or staining. However, a heavy laminate can also be used to create an erasable form that can be written on with a grease pencil or dry erase marker. Dull is slightly smoother than a matte finish. Satin is a very smooth matte finish. Pearlescent coatings provide an elegant and high grade effect. These coatings make use of light refraction to create a shimmery finish. Depending on the thickness of the pigment the refractive indices split the incoming light and reflect the chosen color. Pearlescent coatings are available in a wide range of colors as both a UV and aqueous coating. This coating can be applied across the entire sheet or as a spot coating. Pearlescent paper stock is also available. This effect is great for high-end, elegant pieces. If you are in the food packaging industry you know whatever coating you chose has to be FDA Compliant. However, there are a wide variety of finishes that comply. Contact your print vendor for details about your options. There are a variety of highly scratch resistant over print varnishes. These were designed to replace film lamination. You can receive the same protective advantages as lamination by using a scratch or mar resistant coating. As an added benefit, these coatings are often more flexible than a laminated piece, making it a great alternative for flexible packaging. Want a customized stock for your thermal receipt printer? Thermal coatings can be applied to a customized receipt providing excellent image density combined with the limitless customization of process printing. Everyone loves a contest, everyone loves having an exclusive deal, and everyone loves having fun. Scratch off cards can encompass all of these opportunities. Integrate scratch-off cards with new product or service promotions, holiday sales or in-store promotions to increase sales and customer interaction. Include a scratch-off on your direct mail pieces to keep them out of the trash. When people see the silvery-grey of a scratch-off they instantly want to know what they can win. This is a great way to increase the effectiveness of your piece but there are some cautions. Make sure there is enough of an incentive so the scratcher is not disappointed. If you're offering a limited number of large prizes, consider offering some smaller incentive for those who don't win rather than simply a "Sorry, try again!" message. Login to your Pengad WebTools account for easy, secure file transfer. Already a Pengad customer but don't have a WebTools account? Find out more here. Stay informed with our E-Newsletter. The PressSheet features informative articles, design tips and much more, subscribe today! Printing an image over an area that has already been printed. Overprintingi is what allows process printing to create the whole spectrum of colors using only process colors. Overprinting also allows for the creation of rich black.